Our energy section aims to keep you informed about what the Transition Wilmslow Energy Group is currently doing. Latest minutes from the the last Energy Group meeting are now available here. Mike Rance (previously of GoLo Macclesfield) came to talk to the Energy Group in April about a potential battery storage project in Wilmslow in collaboration with Anesco www.anesco.co.uk Anesco are currently building a large battery storage facility in Macclesfield, which will be used to balance the load on the National Grid network. The aim of the new project is to install PV on the High School and Leisure Centre to generate electricity, and to link with a large battery to store the electricity when it is not being used, rather than exporting it all to the grid. December 2017: Low carbon Supper! The energy group hosted a pot luck , low carbon supper in December, enjoying lots of home grown and home made dishes , including lots of raw vegetables , local potatoes and cheeses, home made pates , strawberries, cake and mince pies. We are also planning another one when the weather is warmer sometime in 2018. 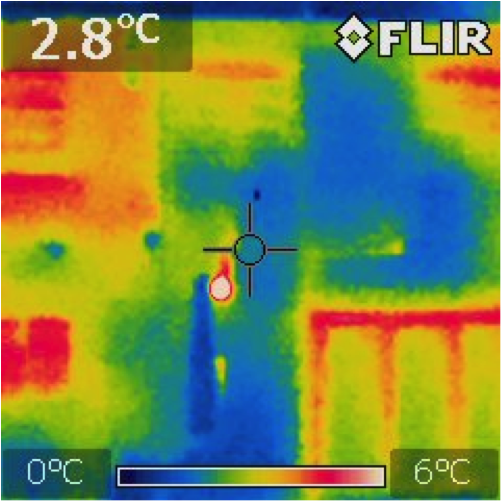 We discussed mainly energy surveys, and plastics , the general feeling is that although we are not experts , there is still good value in using the thermal camera to identify poor areas of insulation in all housing where people would like a free survey! Thursday 9 March: Open House Energy Meeting – How can we reduce our carbon footprint in Wilmslow and save money? Transition Wilmslow are hosting an open meeting to discuss how we can use energy in our homes more efficiently and the exciting possibility of a green energy generation hub in Wilmslow and Macclesfield. The meeting will take place on Thursday 9th March 2017 at the Friends Meeting House, Bourne St., Wilmslow, 7.30-9.00 pm. Entrance is free with donation for refreshments. All are welcome. 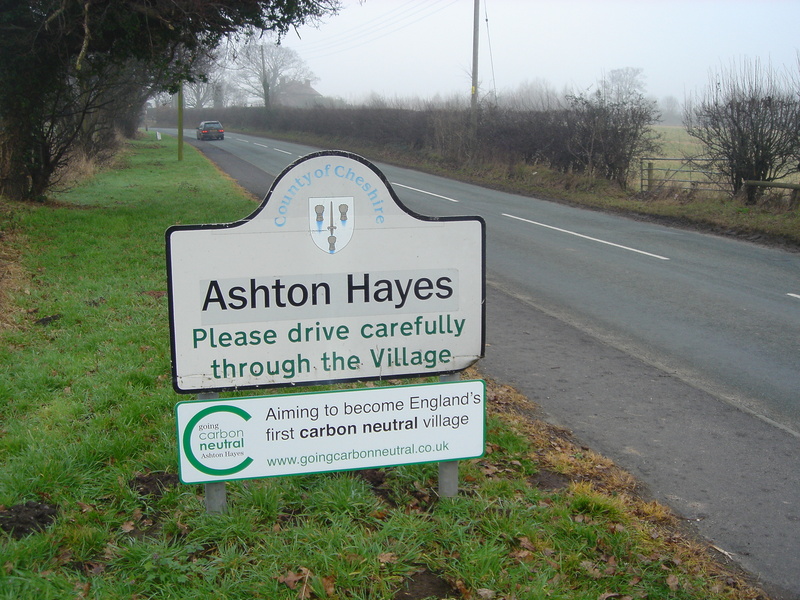 The Ashton Hayes Going Carbon Neutral Project is a community-led initiative that is aimed at making Ashton Hayes the first carbon neutral community in England. Since January 2006 carbon dioxide emissions have been reduced by 23% as a result of the community working together, sharing ideas and through behaviour change. They are about to start work on a community owned renewable energy power station. Professor Roy Alexander is leading a field trip in Ashton Hayes on Saturday 9 May, 10.30am to 3.00pm, to show carbon neutrality in action. Meet at Ashton Hayes Sports Pavilion, Ashton Lane, Ashton Hayes, CH3 8AA. The cost is £5 each, advance booking required. Contact Dr Diane Spivey : 07708 427332, diane.spivey@chester.ac.uk or see the RGS website for details. Would your house look like this from the outside? If it was cold outside the house, and warm inside, and you had a thermal imaging camera to take the picture, you would be worried. Why? Because the red is heat escaping, and it is obvious that some of this house does not have cavity wall insulation, and the windows are leaking heat too (even though they are double glazed). This is in fact a very old Wilmslow house on the left with a modern extension that has been insulated. Transition Wilmslow wants to reduce our carbon emissions and save money in the process for everyone. Over the past 3 years, they have surveyed 150 Wilmslow and Handforth houses, and saved lots of money for people. If you’d like to have your house surveyed with a thermal imaging camera and learn how you could save money, or you’d like to learn how to survey houses give Ali Berry a ring on 07887 425387. Or fill out your name and email on the contact form and we will get in touch. 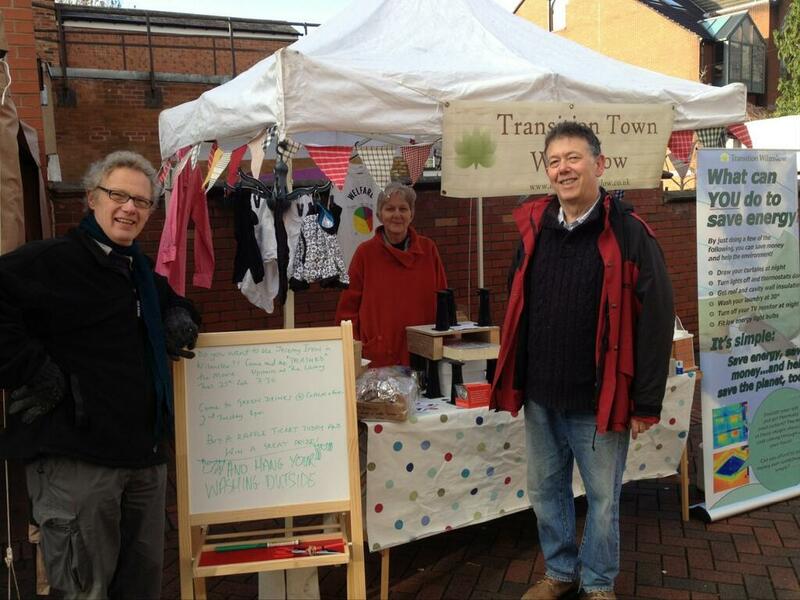 Thanks to help from Wilmslow Town Council, Transition Wilmslow is able to offer this service again this winter. Transition Bath are running a project to persuade people to switch their halogen downlights for LEDs. Check out their website and also have a look at their useful document outlining the annual cost savings of replacing halogen down lights (GU10s or MR16s) with LEDs. Some useful tips in this article from the Guardian to help save energy in older homes. ‘The Guide to Sustainable Homes 2013 explores the key issues in creating a home that’s comfortable, environmentally sound and economically efficient. Published by Blue and Green Tomorrow, the free guide features contributions from leading thinkers in the field of sustainable housing, including Ecology and many of our partners. Have a look at the Transition Cambridge Energy saving advice self survey page to receive a personal checklist with suggestions for how to save energy in your home. The advice is primarily aimed at people who live in Cambridge and includes information about grants specific to the Cambridge area, but also has information about grants that are nationally available. This tool has evolved from materials originally developed from the Cambridge Carbon Footprint Climate Friendly Homes project. A bit late, but congratulations to Prentice James and Sue Roberts who won first and second prizes in the raffle at the Energy Group Stall at the Wilmslow Artisan Market on 16 Feb.
For a bit of fun, have a go at the WWF solar quiz … ‘You’ve seen the panels on roofs and wind turbines on hilltops, but how well do you know renewable energy? Put your knowledge to the test to find out just how powerful it can be. You might be surprised by what you discover’ Check out the link here. Thursday 12 June 2014, 7.30pm, at Ali’s 13 Devonshire Drive, Alderley Edge. For further info please contact Andrew: andrew.backhouse@phonecoop.coop Minutes of the Transition Wilmslow Energy Group Meeting from 16 January 2104 are available here. Today is the first really frosty day so far this winter and it has shown us just how lucky we were to discover that the rotten floor joists on the outside extension wall would have to be replaced before we could have our new kitchen installed earlier this year. Since this problem extended up to and underneath the outside wall itself, this wall had to be virtually rebuilt and properly insulated with blocks of Kingspan extra therm, some 10cm thick. What a difference the insulation has made! Where last winter on a day like today, the (already double glazed) windows would have been covered in condensation in the morning (despite the radiator), until I could add some extra heat to the kitchen by preparing breakfast. In contrast, I have today been sitting in perfect warmth and comfort (without wearing an extra jumper) in my kitchen at 11.00 am and have been here since 8.30 am. So I am writing this to let as many people as possible know that emphatically YES proper insulation really does make an enormous difference to our comfort levels. Come and find out what others have done to make their homes more sustainable, cheaper to live in, and see if there are things you can do too. Where do you lose heat? What can you do to save money and energy? Compare ideas, ask questions. None of us are perfect though! 1-4pm Joy and Luigi Pagano, 50 Sagars Road, Handforth, SK9 3EE to see solar hot water and electricity for a bungalow 10.30-1pm Andrew and Frances, 31 Vale Head, Handforth, SK9 3BP for wood burning stove, solar hot water, hens, garden at end of terrace. 1.30pm-4.30pm Amanda and Garry Olson, 27 Strawberry Lane, Wilmslow SK9 6AQ for wood burning stove, solar electricity and vegetable garden with hens for a semi detached house 1pm-4pm Anthony and Pippa Jones, 4 Fulshaw Ave, Wilmslow SK9 5JA – a Victorian house with vegetables and hens – but also thermally insulated blinds, solar hot water and electricity. Minutes of the Transition Wilmslow Energy Group Meeting from 4 September are available here. The Energy challenge – why does the UK energy system need to change? Consumer help – what action can you take to cut energy use and pay less? 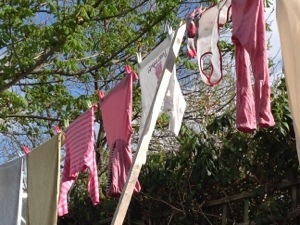 Energy saving tips Take advantage of this lovely weather (while it lasts) and get that washing out on the line. Save some energy and money too! Green Deal: Interested in saving energy in your home? Check out the moneysavingexpert.com website for some useful information about whether the government backed Green Deal scheme might be right for you. Save energy and switch off those lights for WWF Earth hour: 23 March, 8.30. Check out the WWF website for more information. Thinking about improving your insulation? : B&Q are offering ‘Buy One Get One Half Price’ on Eko insulation in-store. Apparently they have a loft insulation calculator and ‘How To’ insulate your home video guide to get you started. ***Next Energy Group Meeting*** Thursday, 11 April, 7.45 at Ali’s house. Notes from the previous energy meeting available here. Took about half an hour to do a panel, but the effect is brilliant in that I do not have to mop that panel anymore, the room is warmer, and it cost very little. Infrared photos before and after insulation installed in a home in Wilmslow Work carried out by the Transitions Wilmslow’s energy group LEAF ambassadors highlighted some simple energy ‘wins’ by carrying out a few simple insulation measures. The following photos show a letter box, loft hatch and radiator before and after insulation had been installed in a house in Wilmslow. Letter Box: before and after draught excluder fitted Photographs taken from outside. The temperature at the top is for the spot at the centre of the image. In the first picture the letter box is redder (warmer) than the rest of the door, which can be seen as blue (cold). This means that heat energy is being lost though the letterbox. In the second picture the colour across the whole door is more even. 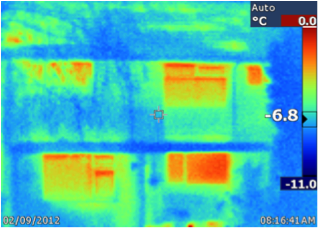 This shows that even though the the whole door is generally redder, the difference in the temperature of the letterbox compared with the rest of the door is less after the insulation has been installed and the insulation has reduced heat loss. Loft Hatch: before and after insulation installed The second picture is with 2 inches of Silvered Kingspan screwed to the back of the hatch cover with wooden slats on the back of the hatch cover rebated into the insulation. This was found by Chris, who installed the insulation, to be easier than trying to fold the fibre glass on the top whilst trying to close the hatch. Photos were taken late at night on a frosty night when the roof space was very cold. The spot temperature doesn’t appear to be very different, but the colour difference between the hatch and the rest of the roof shows in the first picture shows that the hatch is colder in comparison with the rest of the roof, but in the second picture the colour across the whole of the roof is more even, which shows that the insulation is doing its job! Radiators: before and after insulation installed Pictures taken from outside with ‘locked’ colour span setting to enable direct comparison. The first image would suggest that there is heat ‘leaking’ through the wall from the radiator, the shape of which can be clearly seen. In the second picture the wall is a more even temperature and colder, although the spot temperature is higher in the second picture. Absolute temperature measurements taken by a thermal imaging camera can be a bit misleading as the temperature is dependent on the ambient temperature both inside and outside the house, and this can drastically affect temperature measurements taken at different times. What is more useful is to use the camera to see where hot and cold spots exist, and then to install insulation to remove the spots. For more information on any of the images seen above, please contact chris.daniel10@ymail.com For more things that you can do in your own home to save energy see our Energy Saving Tips page. Minutes from the open space and latest energy group meetings are available here.